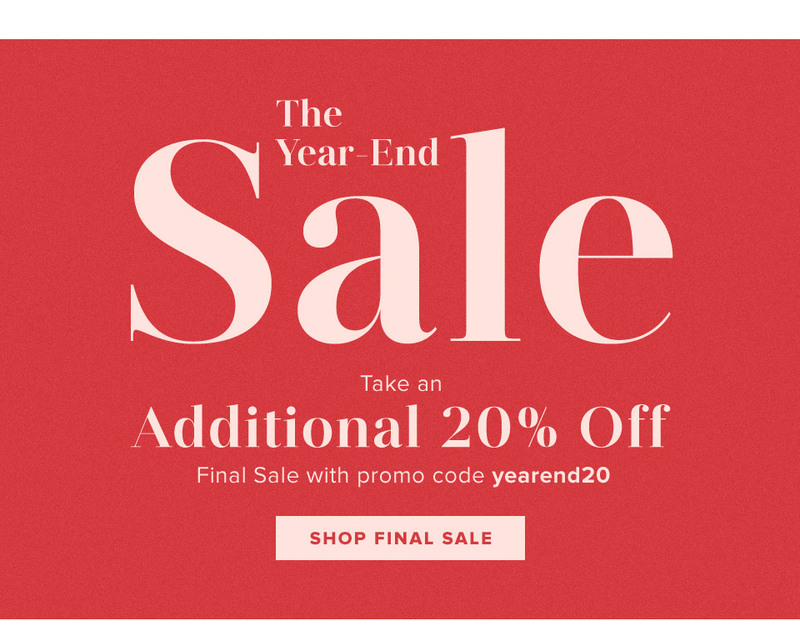 end the year in SALE! * Offer valid through December 31, 2018, 11:59 PM PST on marked down, final sale items only. Discount code YEAREND20 must be entered at checkout to receive the discount. Offer not valid on prior purchases, gift cards, shipping and handling, taxes, full price items, or full price final sale items. Cannot be combined with other offers. Other exclusions may apply. REVOLVE reserves the right to end or modify this promotion at any time.